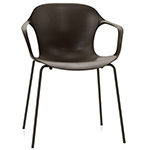 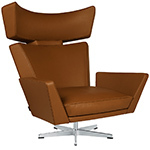 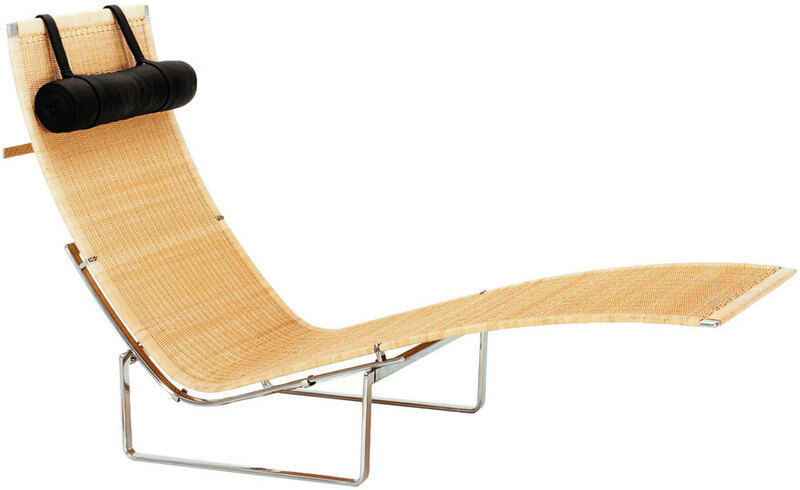 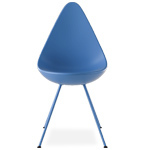 The PK24 chaise lounge from Fritz Hansen's "Poul Kjaerholm collection". 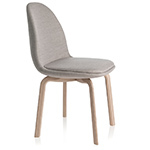 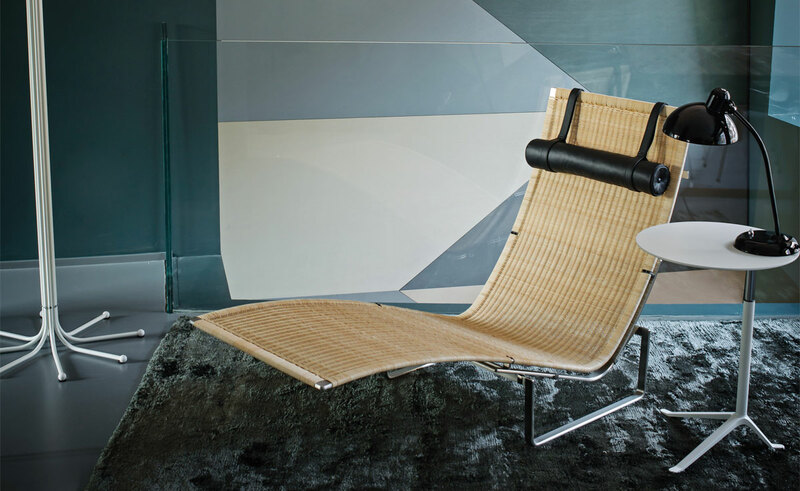 Simple elegance, a typical Kjærholm design - with the combination of steel and wicker with an adjustable, leather headrest - in an exclusive and minimalist design. 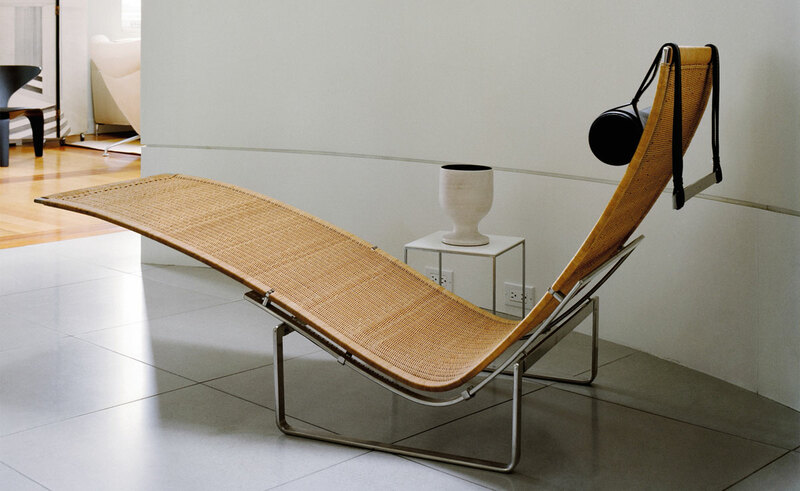 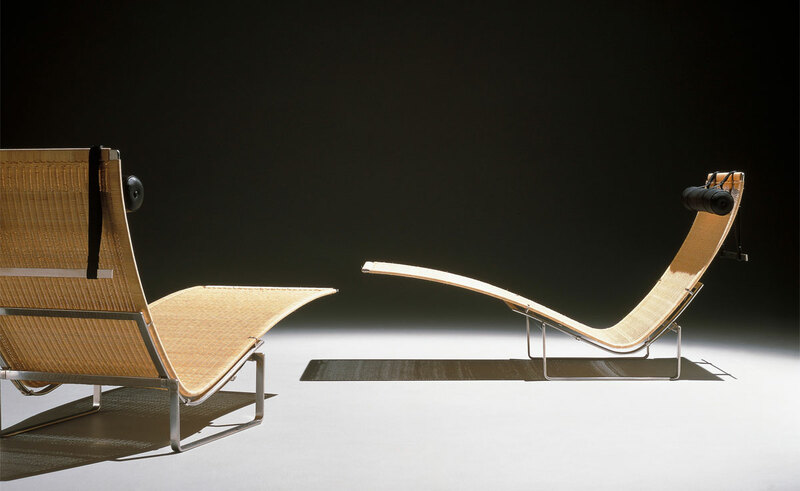 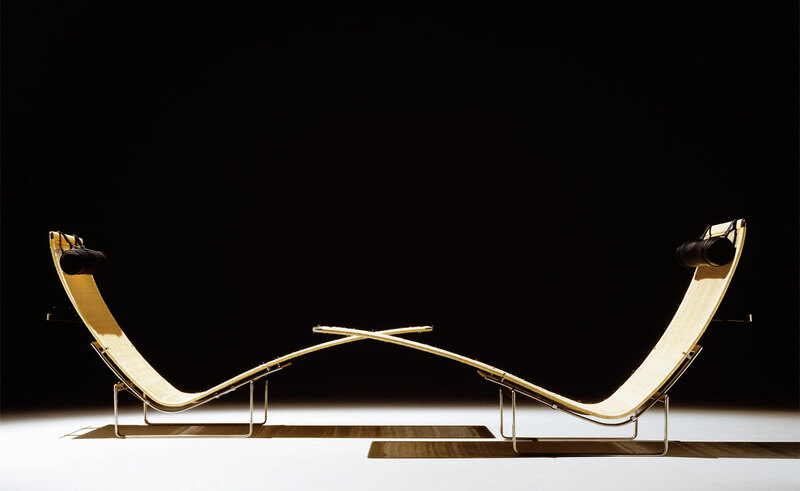 The discrete and elegant PK24 chaise stands as an icon for Poul Kjærholm's work. 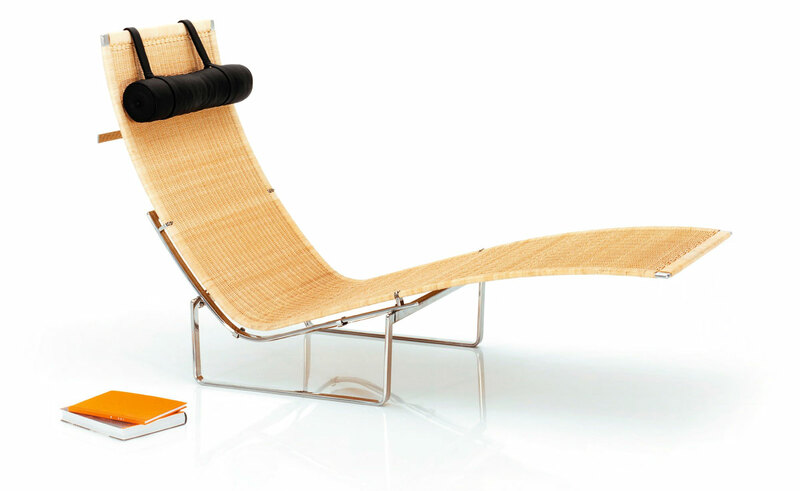 The PK24 chaise is adjustable and based on a stainless steel frame, it is made of natural wicker and has an adjustable leather headrest with a counter-weight in steel. 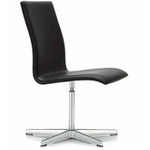 Headrest is available in your choice of leather options. 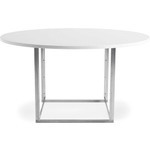 $17,853.00 + free shipping in the continental U.S.